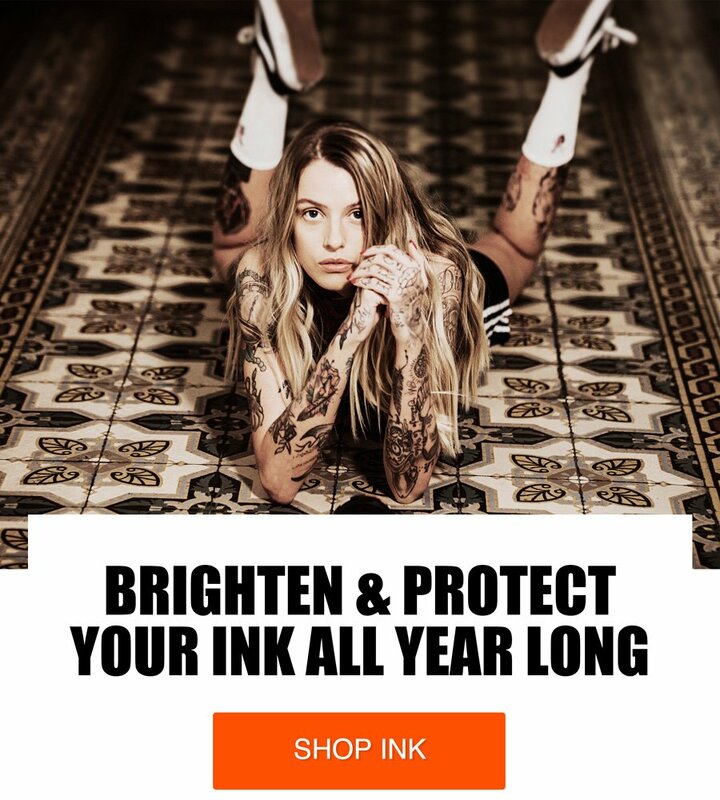 Brightens and enhances the detail of your ink. Organic moisturizing balm with Vitamin C to hydrate and smooth skin. Goes on clear, dries quick and tight. Zero fragrance. Goes on clear, dries quick and tight. Powerful antioxidants and organic moisturizers that soothe and protect skin. Paraben free, PABA free, no artificial colors or dyes. We don't test on animals and we have both the PETA and Leaping Bunny Seals. Our SPF 50+ Spray and Brightener are reef safe.